Open favorite and recent notes from Today Widget. Save to Camera Roll option. Take and Attach multiple photos per note. Preserve indents on new line. Auto checkbox and bullets on new line. 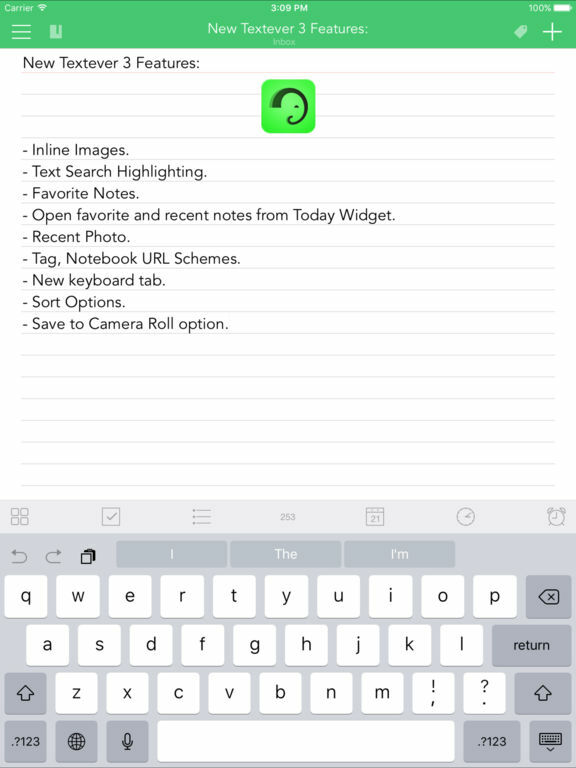 Send your notes to Evernote quickly and sync back. Select and create Evernote notebooks/tags in place. 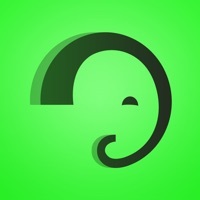 Support Chinese yinxiang.com Evernote server. Gestures: “Undo” and “Redo” with a two-finger swipe; move cursor with one finger swipe; Close/Open keyboard with one finger swipe. Quick launch for typing on the go, keyboard is up by default.